speed and grade information in the numeric display. 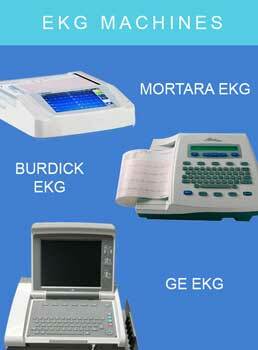 ECG data is collected from electrode sites on the body. Computes heart rate, ST parameters, and other information. Hardcopy print of ECG and computed information. 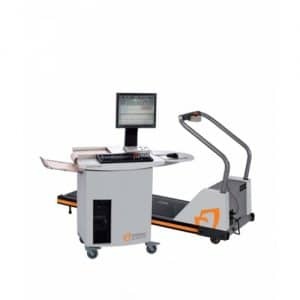 Displays 3 channels of ECG waveforms plus alphanumeric information for identification and labelling purposes, calculated parameters, and messages to the operator. Size: 9×7 inches (23x18cm) WxH. Sweep speed: 25 mm/sec. Memory span: 8 seconds for each channel. 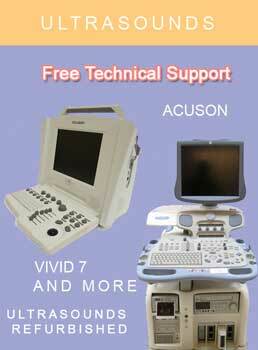 HOLD feature: split screen format with oldest 4 seconds of ECG display capable of being frozen. Write from memory: both HOLD and continoues ECG may be written from the CRT memory to the chart recorder with full AHA diagnostic quality. 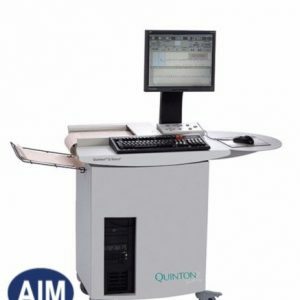 Description: records three 5 mm wide ECG channels and a 45 mm wide half channel containing alphanumeric data for labelling and calculated parameters. Writing method: high-resolution, thermal printhead. Speeds: 5, 25, and 50 mm/sec. Paper capacity: 200 feet (61 m) of z-fold paper. Paper size: 8 ½” x 11″ ( 216 x 280 mm). Papertype: thermal paper, z-fold. Calculated parameters: heart rate, ST level, and ST slope. Fiducial point for ST measurement: J- junction. 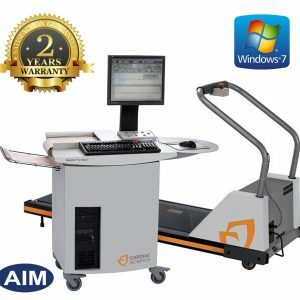 Description: alphanumeric screen readouts of stage number, stage time, exercise time, and recovery time. Accuracy:±0.1% ±1 second. 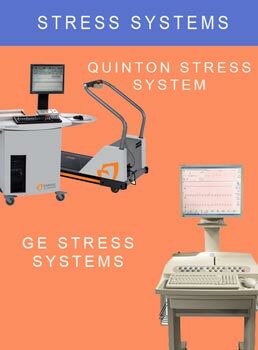 Outputs are simulated ECG signals for the 14 electrode sites; heart sites; heart rate is 30 to 240 bpm, user selectable through the test and calibration mode. 14-wire, low-noise, shielded cable for developing the 12 standard leads and the XYZ Frank leads. Color coded connectors. TTL compatible QRS synchronization pulse; mini-phone jack. Three-channel, analog ECG output, mini-phone jacks. Treadmill interface, 25-pin D connector.